corrective relaxer | hair, there and everywhere! Corrective Relaxer Results – Texlax fail. Greetings! It has been a while since I have written a blogpost! I have been so busy … I had a conference in DC, then I traveled home to NC for about 6 days to visit with friends and family! 3. 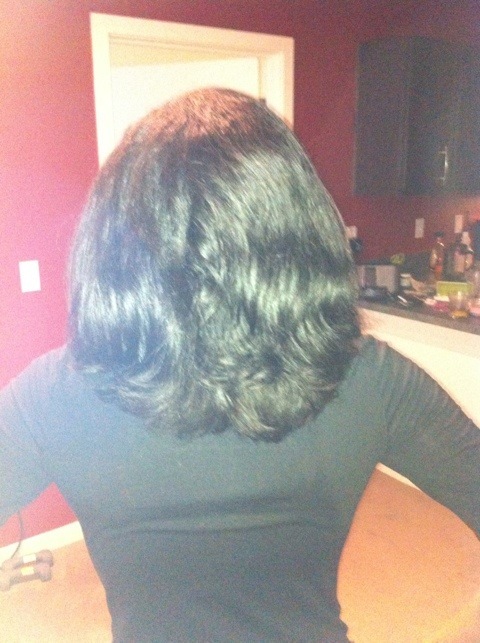 Put in relaxer … left for about 10 – 15 minutes. It burned, but not too badly. I have a high pain tolerance. 4. Washed out with neutralizer … did this several times! Then washed with Alterna moisturizing shampoo. 5. Placed Alterna 10 on my hair for deep conditioning treatment. Covered with wet rag and conditioning cap. Left on for 10 minutes. 9. Admired hair (mostly I did). The end result was amazing! I thought I was fgrogran, swinging my hair, sans about 9 inches!! Hahahah! But nevertheless, I can tell it has grown! I will definitely be full APL by the end of the summer. Kim measured my hair and I have about 3 inches until BSB, which is about 5 – 6 months away. My next relaxer will be in August. I am going back to the 12 week stretch schedule. The 16 week stretch was nice, but it wasn’t for me. I also do not like the texlax look. I like my hair straighter. Also, it was hard for me to tell where my new growth ended and my texlaxed hair began. Here’s some of the pictures!! 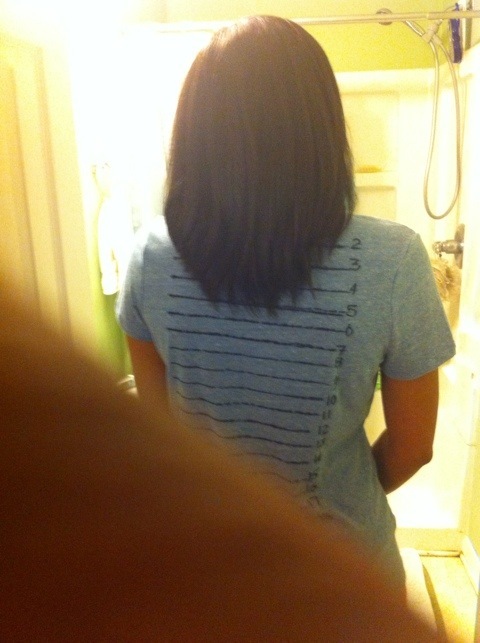 My goal for my next relaxer is to be near the 7 on my length check shirt!